Due to its great natural wealth, productive agriculture, tourism and political stability, Tanzania has achieved stable and high growth rates. As a pioneer in mainstreaming natural resource protection into its development policies, Tanzania has built the foundation for valuing its precious natural capital. is protected or conserved. The country has had sustained growth driven by its political stability, abundant resources and sound economic management. Tanzania is also fortunate to have deposits of copper, silver, diamonds and natural gas. Despite this, many people in Tanzania remain in poverty and rely upon resources that are vulnerable to environmental and economic shocks. Tanzania’s national development goals aim to build public and private capacity to foster a healthier, prosperous nation. To achieve this goal Tanzania will need to protect its bountiful natural resources. Tanzania has several clearly defined geographical areas: the coastal plains with lush tropical vegetation; the Masai Steppe which gives rise to Tanzania’s famous mountains, such as Kilimanjaro; and the southern highlands which consist of a high plateau in the southern areas bordering Zambia and Lake Malawi. Half of the country is covered by savannah and bush and the remainder is semi-desert. The lakes formed in the Rift Valley provide the majority inland water as well as Lake Victoria and Lake Tanganyika. In eastern Tanzania, bordering Kenya, are the nation’s famous Eastern Arc Mountains. The area has been identified as a global biological hotspot and priority area with extreme biological importance. Some of the Eastern Arc Mountains are protected in the Government Forest Reserves and the Udzungwa Mountains National Park. Outside of these protected areas most of the Eastern Arc Mountains’ forest has been cleared and completely degraded, endangering the mountains’ biodiversity. Deforestation has occurred by local populations to use as fuel or building materials. Fire has also contributed to forest destruction in the dry season. The Government of Tanzania understands the importance of this area and is collaborating with the Gaborone Declaration for Sustainability in Africa’s Secretariat to do more to protect this important area. Tanzania’s fertile soils give its excellent potential for agriculture-led economic growth. The agriculture sector has abundant land and water resources, favorable climate, a motivated and large work force and access to international trade through its major ports. Agriculture contributes to 25% of gross domestic product (GDP) and employs 75% of the labor force. 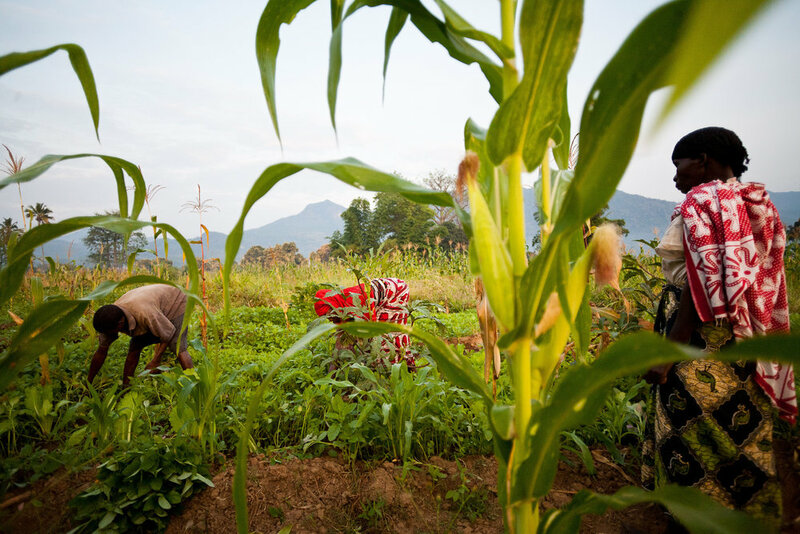 Most of the farmers in Tanzania are smallholder farmers, cultivating less than 2 hectares. Tanzania is incredibly self-sufficient in food production, with over 90% of food consumed produced in the country. Tanzania is working to make its agriculture sustainable through integrated planning and decision making. Green economy initiatives in the Southern Agricultural Growth Corridor (SAGCOT) safeguard ecosystem services and natural capital for agriculture and rural communities. By protecting Tanzania’s natural resources its agriculture sector will become more productive in a sustainable manner. With the support of the Gaborone Declaration for Sustainability in Africa’s Secretariat Tanzania will work toward the Declaration’s five outcomes. Tanzania has identified building capacity in natural capital accounting as a main priority. Tanzania’s success in community-based forest management and SAGCOT has been identified as project demonstration for the Gaborone Declaration. The nation also plans to continue its work with environmental impact assessments and incorporating the environment into private sector business plans. Tanzania will continue to build on its concurrent environmental initiatives, policies and strategies to work toward a green economy and sustainable development. Tanzania’s sustainable development agenda has always prioritized mainstreaming natural resource protection into its development policies, plans and strategies. The earliest mainstreaming efforts started in 1994 with the National Environmental Action Plan (NEAP) which aided the regulation of natural resources along with the Environmental Management Act of 2004. These plans endeavored to maintain coordination between natural resource management and climate change governance. The NEAP was reestablished in 2012 to provide a plan until 2017. The State of the Environment Report (SER) which was published in 2009 provided an assessment of the nation’s resources, challenges facing them, as well as their management. The Tanzania Development Vision of 2025 was launched in 1999 to achieve a better quality of life for all and bring coordination between all sectors. Tanzania boasts many strategies and plans which incorporate natural resource management, one of its strongest being SAGCOT’s Green Growth Strategy. This strategy defends key ecosystem services and natural capital for agriculture and rural communities to support climate-smart agriculture and promote a green economy. Tanzania has initiated previous natural capital accounting initiatives, including its participation in the Wealth Accounting and Valuation of Ecosystem Services (WAVES) Global Partnership. Previous to this partnership, an inventory of greenhouse gases (GHGs) was developed in 1993 and 1994 addressing energy, agriculture, industry, waste management, forestry and land use sectors. In the Eastern Arc Mountains the Natural Capital Project (NatCap) was started in 2007 to improve knowledge of the areas ecosystem services and their contribution to human well-being. The Department of Statistics at the University of Dar Es Salaam has demonstrated its capacity in natural capital accounting through its Natural Resource Accounting Study which focused on the contribution of forests to the national economy. Through its participation in the Gaborone Declaration for Sustainability in Africa, Tanzania will continue to build capacity from these initiatives and others. Within Tanzania many public-private partnerships are utilized to promote natural resource conservation usually from public consultations that involve strategy and policy development. One example is the National Vision 2025 which brought together stakeholders from the private and other sectors. Many of Tanzania’s community based natural resource management initiatives bring together local private sector stakeholders in its processes. Tanzania will be able to build upon these partnerships in its strive towards sustainable development. Approximately 43.7% of the total land area in Tanzania is protected or conserved. The Tanzania Development Vision of 2025 was launched in 1999 to achieve a better quality of life for all and bring coordination between all sectors. Agriculture contributes to 25% of Tanzania's GDP and employs 75% of the labor force.